I have a fun manicure for you today. 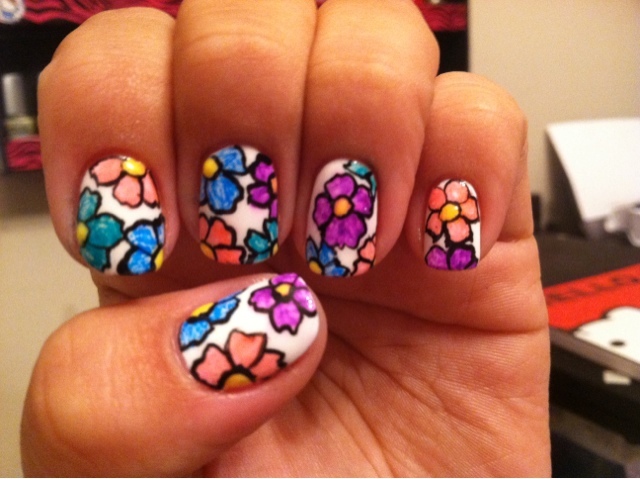 I did this manicure with some color pens k bought recently on the back to school sales. Please excuse the ugly hand, laptop is not working and havent been able to crop pictures. Hope you guys like these. Oh! Me encanta!! Son bolígrafos normales? 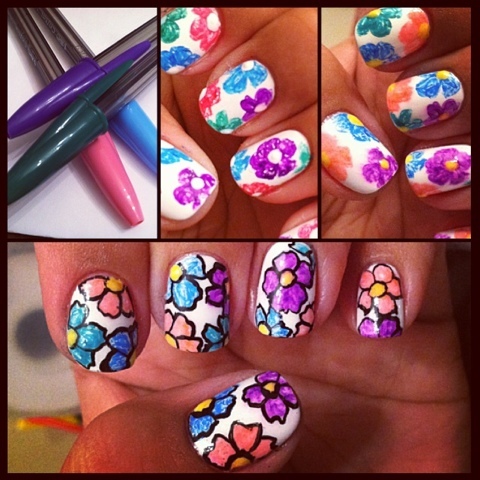 I've never used pens for a mani, this is really cute! What a great and fun idea - the outlining is that perfect touch! How great! It makes me instant happy :-).